Photography from bridal prep until the speeches. Photography from the service until the wedding breakfast. SPECIAL OFFER! All this for £1000. This offer is running through out January and February and is valid anytime between 2019 & 2020! I am offering a digital only package. This is to include all day wedding photography from Bridal Prep upto your First Dance. Plus a USB Stick of all the images with full print release so you are able to print and share your images between your friends and family. if you like my work and getting married then get in touch. ... is take relaxed natural images. You should hardly notice me on the day. Wednesday to Saturday 9.30am till 5pm. I am appointment based so please make an appointment first. 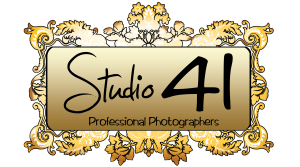 If you'd like to chat about photography (or anything else) you can use the contact form, or email directly to info@studio41photograpehers.co.uk If you haven't had a response to your message within 72 hours, then please check your spam folder, or try me again by email!